SO NA UA is now a country wide and well-known saying. The only way I can explain it, is to tell another Story. Its origin is from the village Vivili who were my next-door neighbours for some fifteen odd years. There is controversy re its exact Translation. Suffice it to say that it basically refers to the tides and the rise and fall thereof … on some tides they/brains may function etc. … Although the way sayings come into being and get altered over generations, it is possible that its original form was ‘e so ua’ which the dictionary says means “a wild sea covered with foam”… our local linguists will probably have a field day with this … must give Paula Qereti a call!! Some folks say I lived a bit close to this village for comfort!!! When the above named village drew the duty of providing water for a gathering at Yaroi. Instead of filling empty drums with water from the gathering ground taps, they loaded the back of a truck with full drums and hauled it all the way to town from the village … losing most of it. 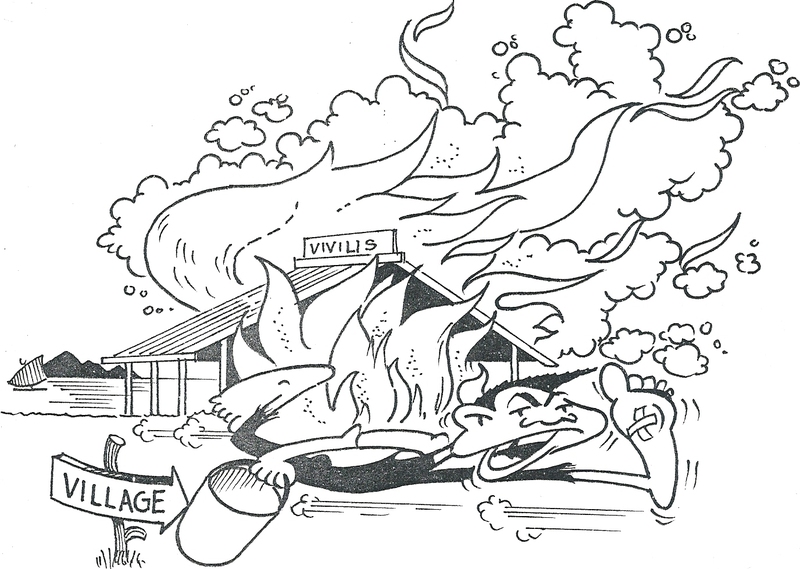 The time Vivili’s copra drier on the beachfront caught fire. Instead of bringing water from the sea a few steps away, they ran en-mass all the way inland to the village for water … it burnt to the ground. THAT’S – SO NA UA! !